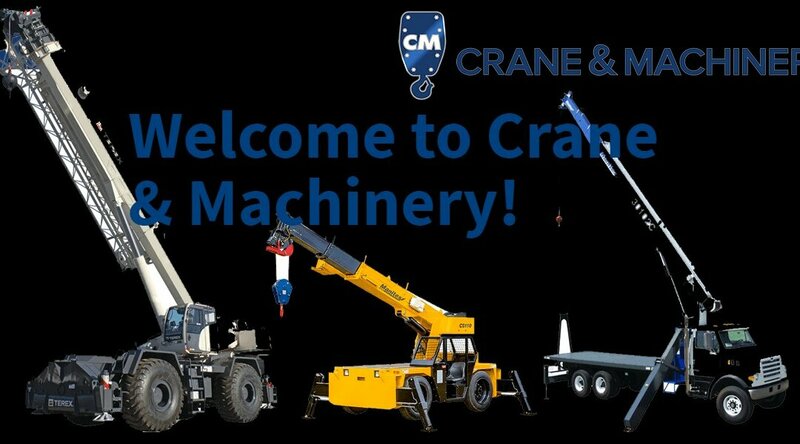 Welcome to Crane & Machinery! Where do you go when you need the most complete crane rental, parts support service, and sales in North America? Look no further than Crane & Machinery, not only are we a division of Manitex International, but we carry a wide selection of heavy cranes, equipment, and boom trucks from many different manufacturers. A breakdown is never a good thing, especially when it is on the jobsite and the clock is ticking. When this happens you need a parts department you can count on. No matter what you need for your crane or heavy equipment, Crane & Machinery has what you need. Being the largest worldwide parts source for Terex, Manitex, PM Cranes, and Manitex Valla, we get our customers the parts they need. Because not every jobsite is 9-5 we offer 24/7 emergency parts either online or on our website. When you choose Crane & Machinery you never need to worry about having access to parts, if we don’t have what you are looking for, we will find it. Proudly featuring some of the best crane and heavy equipment mechanics in the country, Crane & Machinery is a cutting edge service department. Exceptional repairs are our main goal ever time we pull a piece of equipment into the shop, and we aim to have the job done right the first time. We know you can’t put everything on hold when your rig breaks down, that is why we offer our 24/7 emergency service hotline for just such emergencies. We are there for you when you need it done yesterday. While getting the job done fast is our aim, the main focus is safety. A job done without a focus on safety can result in an unsafe condition in the field. So, whether you need to bring your iron to the shop or desire a service call, please contact us for an appointment. Crane & Machinery boasts one of the largest bare rental crane fleets in the Midwest. We have various models and manufacturers of RT Cranes, Carry Decks, Industrial Cranes, Boom Trucks, Knuckle Booms, and Electric Pick & Carry cranes. Regardless of whether you need a crane for a few days or a few years, we have you covered. No rental is too short or too long. If you are interested in learning more about our rental fleet contact us today. Of course, we are much more than just crane parts, service, and rentals, Crane & Machinery also offers new and used equipment sales. We have been serving the construction, industrial, mining, and transportation industries for more than thirty years and we take great pride in carrying the finest manufacturers and over 3 million parts. If you need any information about our parts, service, or rental offerings, please do not hesitate to contact us, and if you are in need of emergency parts or service please contact us on our 24/7 emergency hotline. Check back next time when we will look deeper into our equipment sales division.